Irene Fountas, Director and Professor– Irene directs the Center’s comprehensive school model project in the School of Education at Lesley University. She has been a classroom teacher, language arts specialist, and consultant in school districts across the nation and abroad. Irene and co-author Gay Su Pinnell have published several books with Heinemann, including The Fountas and Pinnell Literacy Continuum, Expanded Edition: A Tool for Assessment, Planning, and Teaching, Grades PreK-8 (Heinemann, 2017) as well as many other titles. Irene has received numerous national and international awards for her contributions to literacy. Cindy Downend, Assistant Director of Primary Grades Literacy Initiatives– Cindy is a faculty member at the Center with over 20 years of educational experience as a classroom teacher and Reading Recovery teacher. She has held many leadership roles in a variety of diverse settings including school districts in Florida, Michigan, Minnesota and with the Department of Defense Dependents Schools in Germany. Cindy is a National Board Certified Teacher in the area of Early Childhood. Eva Konstantellou, Professor/Reading Recovery Trainer–Eva has worked at the Center for Reading Recovery and Literacy Collaborative for the last eighteen years as a Reading Recovery Trainer. She supports Reading Recovery training sites in several states in the northeast and also provides professional development for early literacy interventionists and literacy coaches. She has published articles on children’s literacy development and on the implementation of Reading Recovery. Helen Sisk, Assistant Director of Intermediate/Middle Grades– In her more than 30 years as an educator, Helen has worked in Virginia as a classroom teacher and reading teacher. She is a trained Reading Recovery teacher and former Literacy Collaborative district trainer. She now joins the faculty as a staff developer and coach. Heather Rodman, Primary Grades Trainer– Heather was a Kindergarten, first, second, third, and fourth grade classroom teacher in Middletown, CT for 16 years. She was also a Primary Literacy Coordinator for five years where she provided literacy training and coaching to K-5 teachers. In addition, she was a member of the Connecticut Department of Education Common Core State Standards Curriculum Design Team for English Language Arts. Seema Sgobbo, Intermediate/Middle Grades Trainer– Prior to joining the CRRLC, Seema taught within several districts in NJ, VA and MA. Seema’s teaching experience spans grades PreK thru college with roles including Reading Recovery teacher, Title One teacher, Reading Specialist as well as Literacy Coach. Seema enjoys working alongside students, and teachers alike, in the field of literacy. Jillian Fountain, Intermediate/Middle Grades Trainer– Before beginning her work at the CRRLC, Jillian worked in a number of districts in Connecticut. She has worked across multiple grade levels as a classroom teacher, remedial reading teacher, and language arts consultant. Jillian appreciates learning alongside in-service teachers and literacy coaches to develop professional capacity and improve student learning. Julie Sneed– Primary Grades Trainer- Bio coming soon! Christina Cooney- Primary Grades Trainer– For the past fifteen years, Christina worked as a classroom teacher, a literacy coach, and as a school principal in various districts across Massachusetts. She is passionate about teaching, learning and collaborating to create school communities that support equitable learning opportunities every day for all students. Toni Czekanski, Assistant Director, Grants, Contracts & Special Projects- Toni has over thirty years of experience in education, both as a teacher and reading interventionist in public schools and as an instructor at the university level. She has worked at the CRRLC for over fifteen years, as an instructor and faculty liaison on the intermediate and middle school level LC team, a consultant developing online courses, and currently as the Assistant Director of Grants, Contracts, and Special Projects. Wendy Vaulton, Senior Researcher- Wendy has been with the Center for Reading Recovery for five years. She leads the Center’s research and evaluation activities. Wendy has more than 15 years of experience working with community and school-based stakeholders to help them use data effectively for program improvement. Barbara Brammer, Assistant Director of Administration and Finance- Prior to joining the group, Barbara held management positions in education and the affordable housing arena. 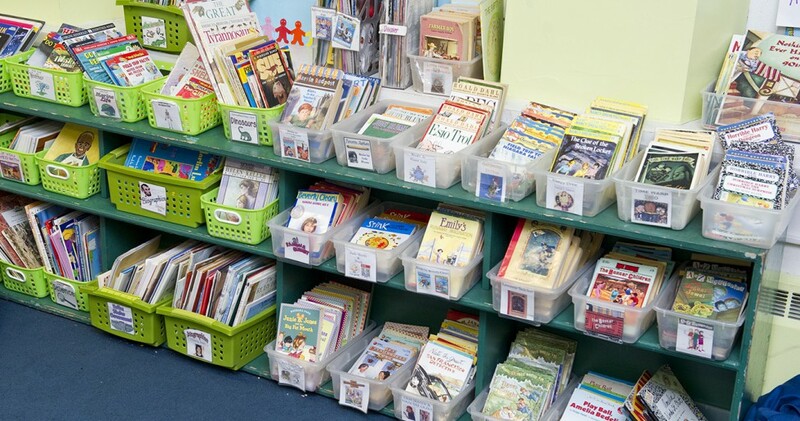 She was drawn to the work of the Center because of the team’s commitment to meeting struggling readers where they are and helping them achieve success in their literary lives. Outside of work, Barbara enjoys playing and watching tennis as well as keeping up with her two children. Kelly Adams, Academic and Faculty Coordinator, Reading & Recovery, Graduate On-Campus Courses, Graduate Online Courses, and Adjunct Faculty Hiring- Kelly has been a member of the staff for nearly 16 years. In her previous life, she used to teach 2nd grade in Texas where she served as the primary grades ELA Coordinator for her school. At the Center, she works on Reading Recovery, online courses, graduate courses, and adjunct faculty hiring. In her spare time, Kelly enjoys baking, watercolor painting, modern calligraphy, and exercising. Elana Aurise, Project Coordinator, Conference and Events, Summer Institutes- Bio coming soon! Melissa Fasten, Senior Program Manager, Literacy Collaborative, School Leaders, Effective Literacy Coach and Team Training- Melissa has been a member of the Center for over 5 years. Her role includes planning for and talking with prospective districts about designing their school improvement model through Literacy Collaborative, What Every School Leader Needs to Know About Effective Teaching and Teacher Leadership, and or the Literacy Leadership Team Institute. Outside of the office, Melissa enjoys relaxing in the Boston Common during the summer months with her two children and husband. Stephanie Wong, Project Coordinator, Literacy Collaborative, School Leaders and Team Training– Bio coming soon! Amanda Bedford, Project Coordinator, Literacy Collaborative, Effective Literacy Coach, and Team Training- Amanda has been working for the CRRLC for two years and enjoys working closely with the faculty and coaches in the Literacy Collaborative alongside Melissa and Julie. In her spare time, Amanda is deeply involved in local community theatre: she performs onstage and sits on the Board of Directors as the Vice President of The Footlight Club, America’s Oldest Community Theater. She also enjoys reading and drinking tea voraciously. Julie Travers, Project Manager, Leveled Literacy Intervention and Onsite PD- Julie has worked at the Center for a year, where she assists with Leveled Literacy Intervention, and onsite PD trainings. She loves books and visiting libraries and museums as well as the outdoors, including running, hiking, and camping. Nathalie Paez– Project Coordinator, Leveled Literacy Intervention and Onsite Professional Development- bio coming soon!